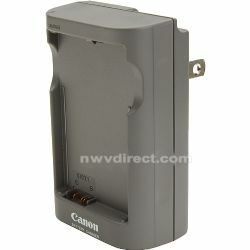 Canon offers a CG-300 Compact AC Battery Charger that provides your camcorder with continuous power. This charger recharges cameras & camcorders batteries. It is very lightweight and can be easily stored away in case you have to travel. It plugs right into a wall and has an indication light when charging.